Is a Jaffa Cake a biscuit or a cake? Does it really matter when you can get 100 of them for £3.50? These are the real existential questions in life worth asking, and we finally have the answer now that Tesco are giving us that very offer. The deal has been reported as only available online, however the above image would suggest otherwise. It is the cheapest available price you will be able to find the orangey-chocolatey goodness, from hotukdeals.com. There have been boxes on sale for about £4 in Iceland, but that’s still cheaper than the RRP on Amazon of £8.78. The incredible deal comes in at a mere 3.5p per biscuit, which is pretty good no matter which way you look at it. 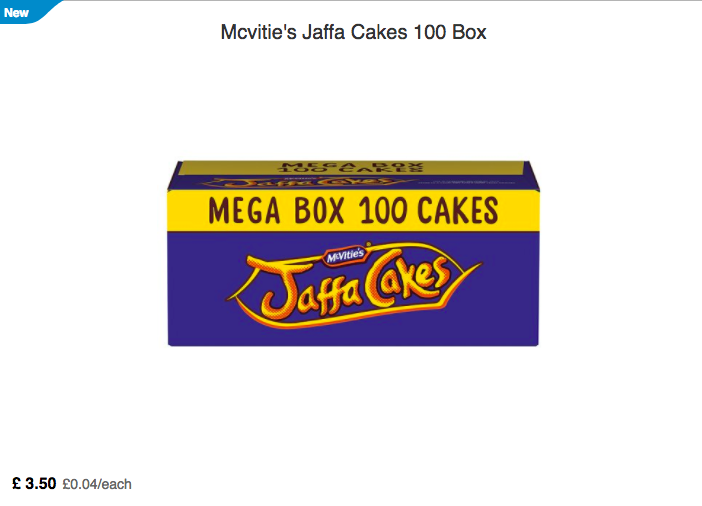 It works out at about half the price of a standard box of Jaffa Cakes so you’ll be making a saving when breaking your January diet. 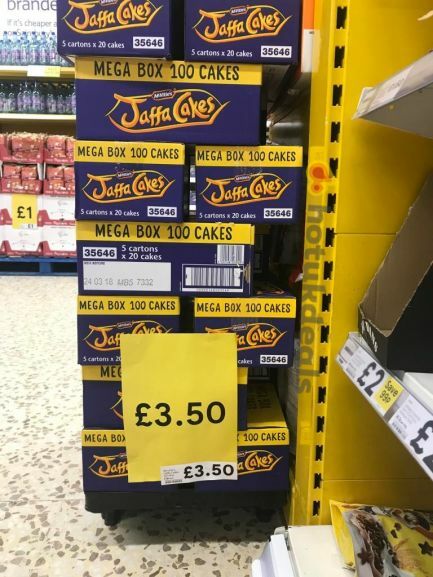 At Sainsbury’s, the box of 1o is a whopping £1 which is 10p per cake and 100 would set you back a whole £10 – daylight robbery. If your sweet tooth doesn’t give you a craving for Jaffa Cakes, you might be willing to part with your cash for a kilogram tub of haribo. Yes, that’s right, a kilogram, for the paltry sum of £2, just in time for the weekend. The deal is apparently a left-over from the festive season so it’s first come first served, and it can bring you a saving of about £10. If you’re in the mood for something a bit more chocolatey, then get yourself over to the chocolate aisle (I wish there was an actual chocolate aisle) for a lovely tin of Quality Street. The 871g metal tins of the chocolate confections were going for the price of £1.25, and it’s worth skipping the gym to get your hands on them. Even better, there is absolutely no restrictions on the number of tins you can take home, so fill your boots. If you’re getting serious cravings for some sweetie goodness, then go for it, we won’t judge you.